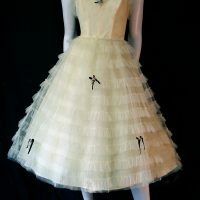 This unique piece of Vintage Clothing has been sold. 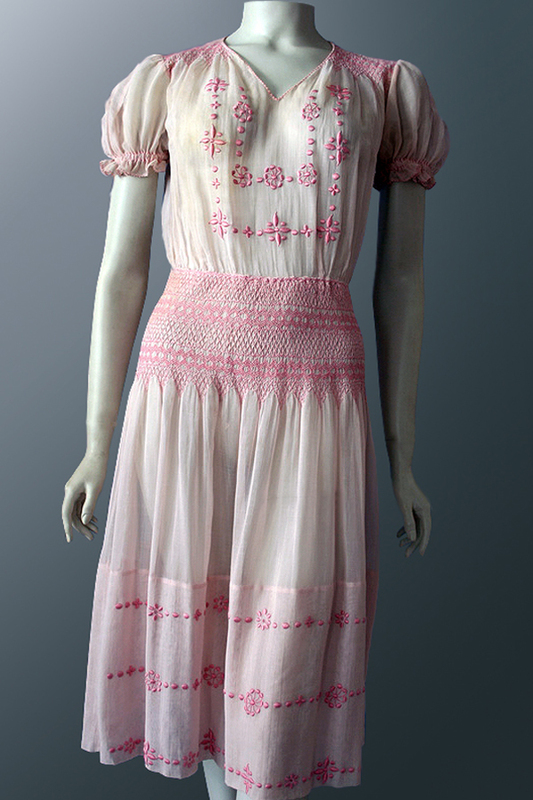 Genuine 1920s vintage Hungarian embroidered and smocked ‘peasant’ dress in soft, gauzy pink cotton voile. A very rare find. 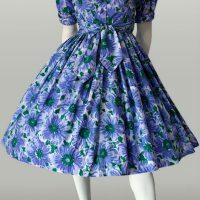 These pretty, feminine dresses were popular daywear throughout the 1920s and 1930s. 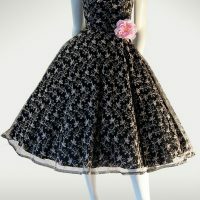 Romantic and easy to wear, their delicate charm appealed greatly to the affluent west. This lovely example in pale pink cotton voile is embroidered and smocked in a darker shade of pink throughout with pretty, stylized flowers and crossing lines of dots. The deep smocked band (7 inches, 18cm) around the hips creates a lovely smooth shape then forms the gauzy fullness of the skirt. Has a very deep hem (11 inches, 28cm). The front at shoulders is also smocked for a soft floaty look. There are rows of vertical pin-tucking across back. Delicate short puff-sleeves finish off the look. The dress closes at the side with 6 press-studs. At one time someone replaced these with a zip so I carefully restored the opening to the original style. 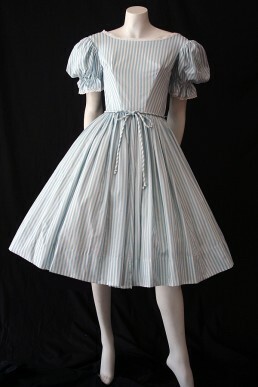 Please note A pink petticoat, not photographed under dress, is included in price. 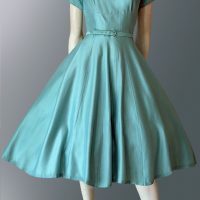 It is of a different era, most-likely 50s to 60s. Condition Excellent wearable vintage condition. 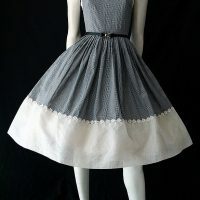 It does have a small, very well-done mend at the front of skirt below smocking which is perfectly colour-matched. 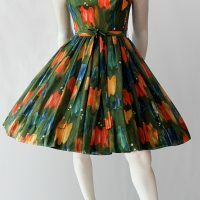 It is very hard to detect because it is in the folds and almost looks like just a flaw in the fabric. Please check measurements as the waist measurements were very small and the girls shorter in the 1920s. Measurements are measured flat on dress so please remember to allow room to move. 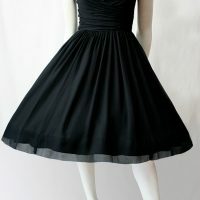 It is always a good idea to check measurements against a dress that you know fits. 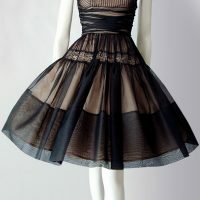 This dress is meant to be worn a little loose.